The Presco winding testers have been specifically designed as impulse test systems for diagnosis of windings and coils of large electrical machines in the MW-and MVA-range according to the international standard IEC 60034-15 (“Rotating electrical machines. Part 15: Impulse voltage withstand levels of rotating electrical a.c. machines with form wound stator coils”). 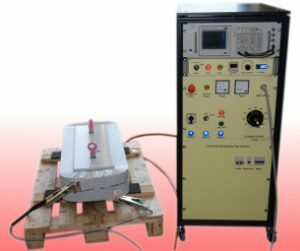 Demand for our new line of impulse test systems arose from the fact, that our customers required a performance level of impulse withstand testing that was difficult to obtain with commercially available products. Unlike other commercial products, the Presco impulse test systems provide a real resonant circuit between the inductive test object and the built-in energy storage capacitor with the oscillating current flowing between the test object and the built-in capacitor for the entire duration of the damped oscillations. Thus the sensitivity of the measurement is greatly enhanced. Furthermore the front time of the generated impulse tf= 0.2μs (+0.3μs / -0.1μs) complies with the IEC 60034-15 specifications. Our easy-to-use impulse test systems are designed using state of the art technology and excel with their high-energy discharge capability as well as their ruggedness, reliability and longevity in harsh environments. 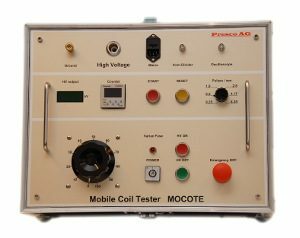 Our impulse test systems are available as stationary units for voltages up to 15 kV and mobile units up to 6 kV, both being equipped with all the safety measures common to professional high voltage test equipment. Impulse test systems with higher voltage outputs will be available in the near future as replacements of old Haefely WP-series. 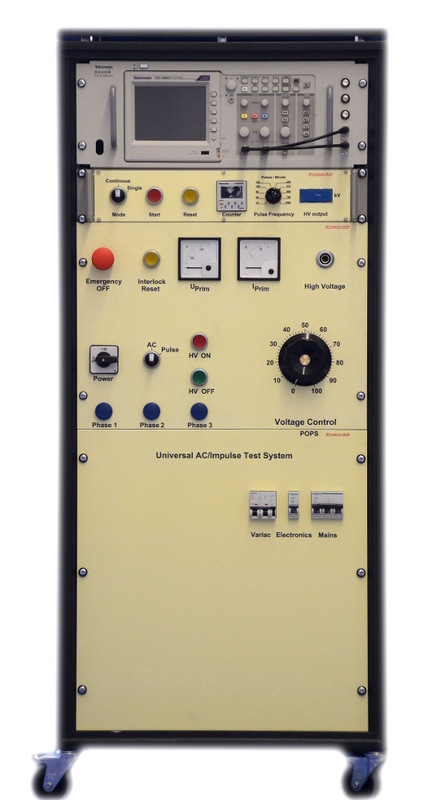 The capabilities of the systems can be expanded with AC- or DC-voltage testing features at request. 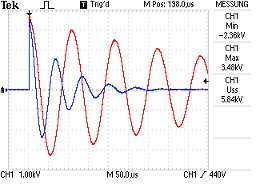 Generates true damped oscillations between discharge capacitor and test object due to bi-directional switching element.